Games-Career.com – The Portal for Games Industry Jobs! Our Blog features career advice and games industry news. 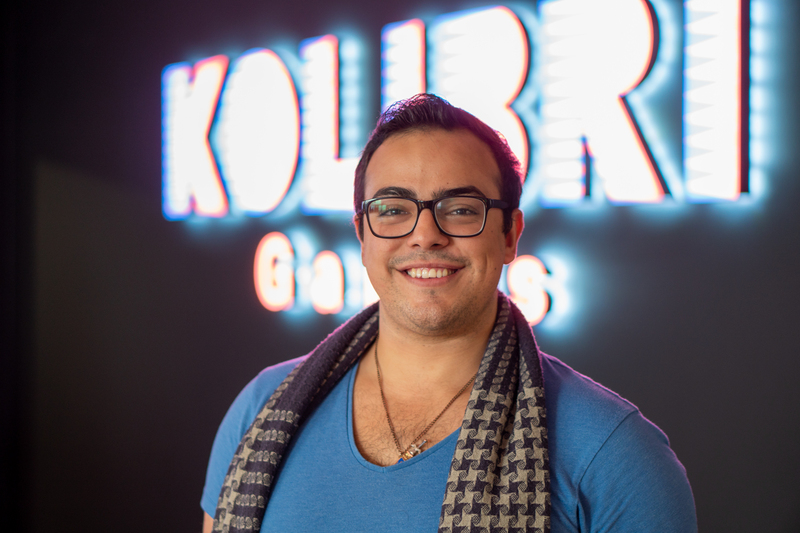 Berlin located mobile developer Kolibri Games aspires to be the most player oriented studio in the world. A goal that can’t be achieved without passionate Game Designers! Luckily, Pablo Steinbach works for them and burns for his profession. In today’s interview, he tells us all about it – means how to get there, what his tasks are and what career prospects Game Designers have. Games-Career: What is the task of a Game Designer? Pablo Steinbach: The task of a Game Designer is to create a memorable and fun experience for the player. The real challenge is to make it fun for a long time. Here, success depends heavily on the type of game and players you are making the game for. A good game designer develops an intuition for the genre the game is placed in and then designs the game to meet the needs of that genre. Of course “fun” means different things to different players. Some people like adventure, others strategy, puzzle or sports. To design a game that appeals to people from different origins, ages, genders and so on, you have to develop a very good understanding of your players and what is fun for them. Games-Career: Which typical activities do you carry out? Pablo Steinbach: As a Game Designer, I have to determine which features of the game affect the playing experience, and to what degree they do so. Documenting data plays an important role here: I literally tweak numbers, rewrite documentation and communicate everything to the team. First, a feature needs to be broken down into all its nuts and bolts to make sure there isn’t anything missing. All has to connect well to provide a nice gaming experience. In regular meetings we ensure that issues are put to light ahead of time and that everyone is following the same vision of where the game is going. As we have many teams working on different parts of the game, communication is super important: it is part of our responsibility that we, as a whole, can deliver a high-quality game in a smooth and timely fashion. Games-Career: How do you become a Game Designer? Pablo Steinbach: As simple as it might sound, you become a game designer by designing game, after game, after game. It’s simple “learning by doing”, so start small and learn from your mistakes. Make sure to play other games, to develop a deeper understanding of what makes a game enjoyable and how these elements can be implemented, so you can replicate them in your own games. Read a lot of books, and don’t be afraid to rely on others to help you out. The more often you go through this development process, the better of a Game Designer you will become! Games-Career: What certificate is required to become a Game Designer? 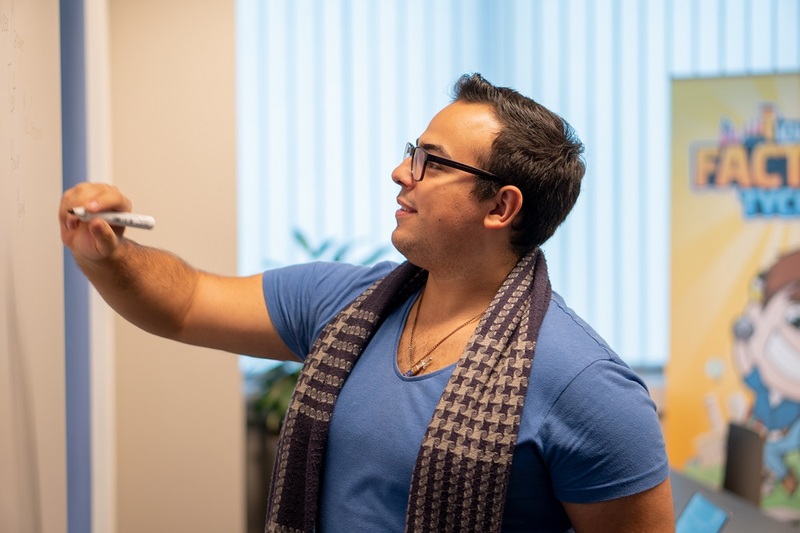 Pablo Steinbach: There is no particular certificate required to become a Game Designer, however a technical background is definitely a plus and will be helpful when you go about making your own games. A background in psychology will make it easier for you to understand how things affect players and their emotions. 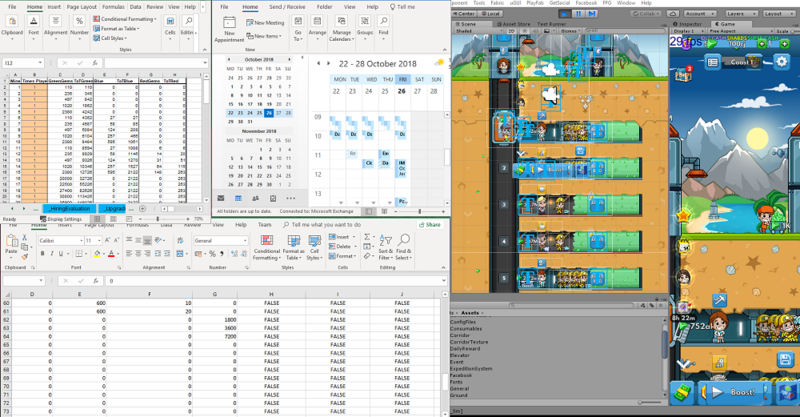 What game design courses usually teach you, is what the development process looks like start to finish, from the first idea to the final implementation. Games-Career: How long does the training / study to become an Game Designer take? Pablo Steinbach: Typically, a university degree in Game Design, or a similar certificate, takes three years to complete. But to become a good Game Designer, it is important to develop feeling for your audience and the bigger picture: regardless of what kind of a Game Designer you want to be, learning never stops. Because games change so fast, staying up to date with your genre and the industry in general is something that you will always work on. Games-Career: What are the sunny sides of your job? Pablo Steinbach: As a Game Designer, I get to craft an experience that has the potential to touch and captivate millions of players around the world. Watching someone enjoy the game or feature you created is an incredibly satisfying and unpayable experience. Games-Career: What are the dark sides of your job? Pablo Steinbach: Getting a healthy work-life-balance is hard if you work as a Game Designer. Because creating games is your passion, knowing when to stop and do something else can become a real challenge. Games-Career: What career prospects does a Game Designer currently have? Pablo Steinbach: The possibilities for professional development for a game designer are endless. You touch many aspects of the game and have to consider how to integrate them into the existing product. All this includes some project planning, creative thinking and problem solving. With this profound understanding of the game you would be well equipped to become a product manager. You could also become a team leader, motivating and optimizing your team to achieve their full potential and to generate optimal results. If you are not interested in a managing position, there are many other fields to specialize and become a game design expert in: UI/UX, Economy Design, Content Design, Live-Ops or Monetization for example. Whatever your ambition and passion might be, as a Game Designer you can let your ideas have direct impact on the game. Games-Career: What an ispiring interview! Thank you, for sharing your vitality and information with us, Pablo. Who got infected by this spirit and feels like working with Kolibri Games too, can take a look at the company profile and find all recent vacancies. This entry was posted in Career and tagged Daily Business, Interviews by Anietta. Bookmark the permalink.